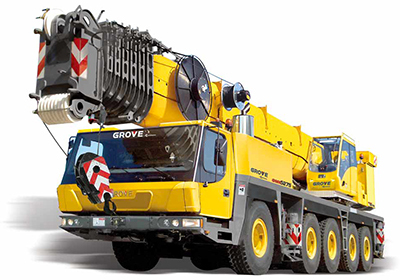 Our fleet of ten hydraulic cranes range from a 23 ton National Series boom truck up to 450 Ton all terrain Grove with 197ft. boom and 259ft. lattice jib. 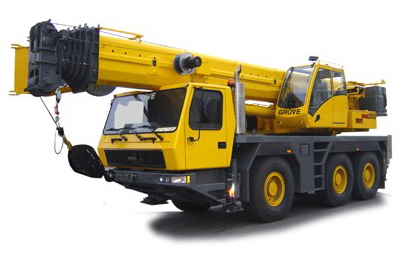 We have licensed professional crane operators that are highly experienced in all phases of hoisting & rigging required for construction. We also have trucks and trailers in our fleet. Both indoor and outdoor storage space is available for your equipment. 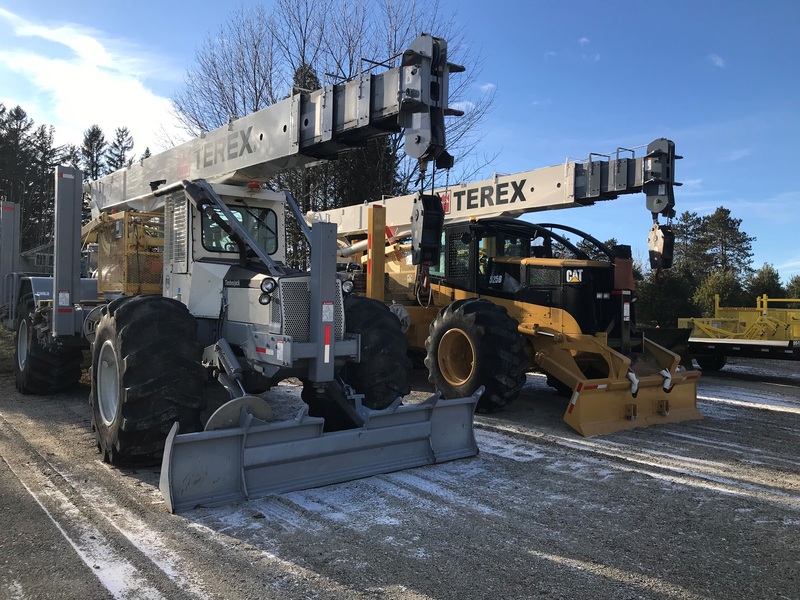 Two (2) skidder cranes with 100’ boom, 23-ton capacity, equipped with pin-on man baskets with all terrain/off-road capability. With a capacity of 23 USt, the 800D four section boom with 100 ft. with overload protection. The 25 Ft. to 44 Ft. jib is equipped with overload protection. 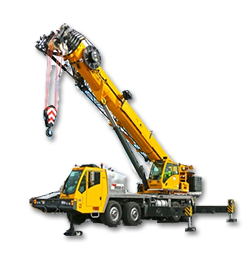 You want it all, get it now with the National Crane Boom Truck 45. Boom lengths up to 127 feet with 38 ft. jib, 3 position outrigger controls, and fully compliant with OSHA. The GMK3060 offers a 65-ton maximum capacity on a compact, three-axle carrier. 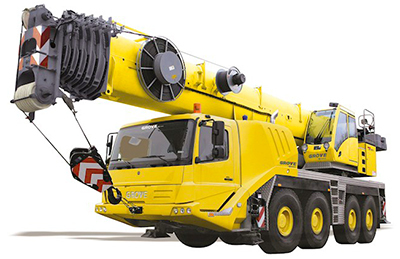 The crane a six-section boom, Tier 4 Final six-cylinder turbo-charged diesel engine. ZF-AS TRONIC transmission , and 355 HP engine, MEGATRAK™ independent hydro-pneumatic suspension. The operator cab advantages include tinted safety glass, acoustical lining, fully adjustable seat, and armrest integrated crane controls. The GMK3055 offers a 60-ton maximum capacity on a compact, three-axle carrier. 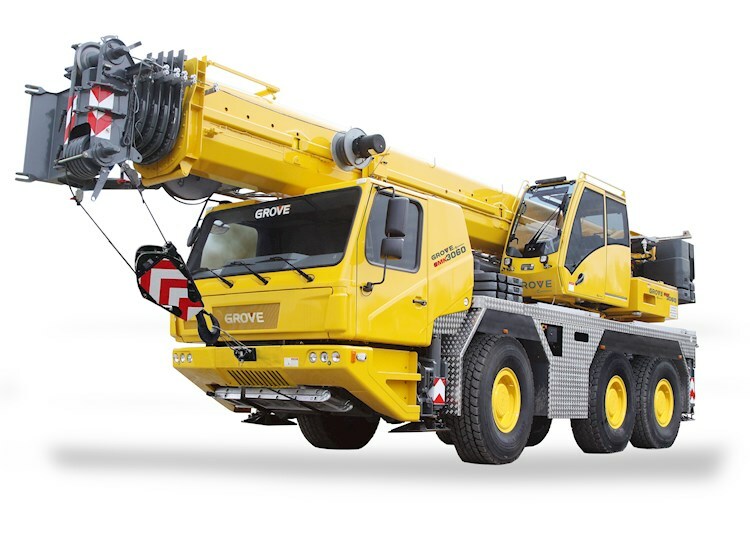 The crane a six-section boom, automatic transmission, and 349 HP engine. The operator cab advantages include tinted safety glass, acoustical lining, fully adjustable seat, and armrest integrated crane controls. 110 US ton with 4 axle all-wheel drive mobility plus 168' of main boom with 59' jib. 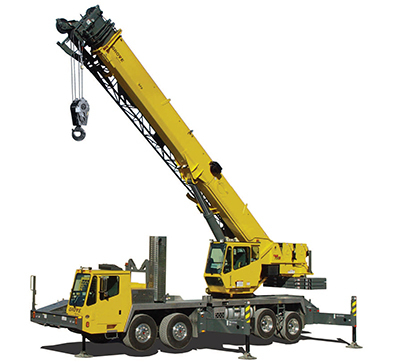 The TMS-9000-2 sets a new standard in truck mounted cranes; strong load charts, long boom and a low gross vehicle weight. 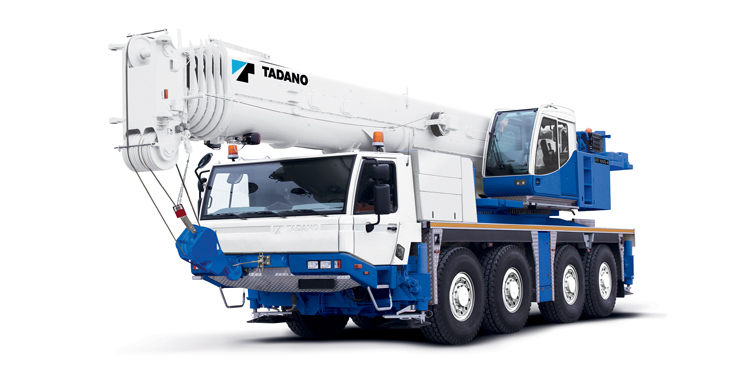 With features like MEGAFORM boom, Crane Control Systems, CraneSTAR, Two Stage Outriggers with 4 postion settings, it beats all other truck mounted cranes. 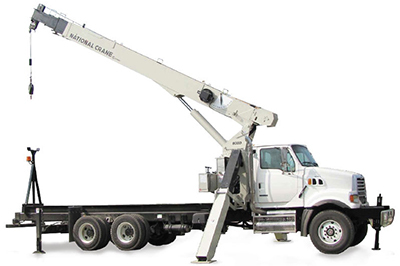 The GMK4115L offers a 115 USt maximum capacity and 197 ft TWIN-LOCK boom on a compact four-axle carrier. 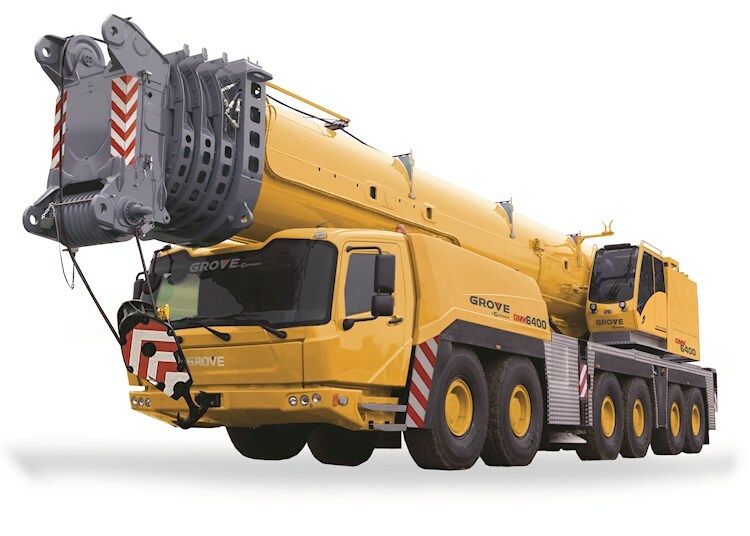 The crane also features the latest ergonomically optimized GMK chassis cab. 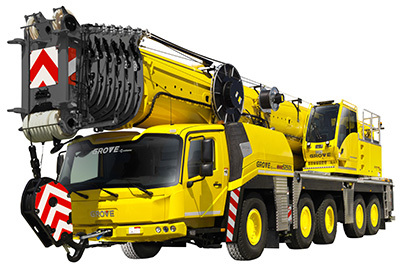 The best load chart in class and proud recipient of the ESTA Innovation award for 2013, the GMK6400 continues to be one of the most successful cranes of the Grove GMK all-terrain crane line. In addition to innovations such as the removable outrigger box and self rigging auxiliary hoist, the trademarked and also self–rigging MegaWingLift™ attachment lifts the already impressive capacity by nearly 70 percent.